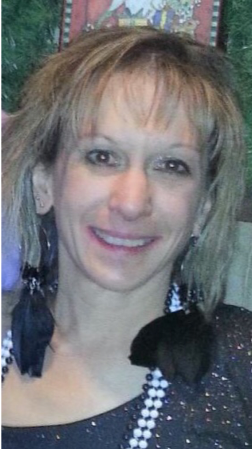 Laura Civitello Grieco, 50, of Coventry, passed away suddenly on Monday, December 3, 2018, after a long illness. Laura was born on February 16, 1968, in New Haven, CT and spent her early years in Hamden. She worked for several years as the Managing Director at the Bethwood Suzuki Music School in Woodbridge. For the past fifteen years Laura lived in Coventry with her husband and children. She was a longtime volunteer at her local church and at Windham Hospital. She most treasured spending quality time with her husband, children, grandchildren, family and friends. Laura enjoyed traveling to Lubec, Maine as well as other northern vacation spots in Vermont and Canada. She shared a passion for cooking with her husband, creating hours of fun in the kitchen as they danced the night away while cooking. She is survived by her husband David; daughter, Lauren Leonardo; step son, Andrew; step daughter, Ashley Baker (John); grandchildren, Kaleb, Lexie, Layla, and Katerina; sisters, Marianne Lyden (John); and Margaret Abbagnaro (Andrew); brothers, Andrew Civitello (Valerie) and Anthony Civitello, (Susan) and many nieces and nephews. She is preceded in death by her parents, Andrew and Rose Civitello. Laura’s family will receive relatives and friends on Wednesday, December 12 from 4:00 to 6:00 pm at Potter Funeral Home, 456 Jackson St. Willimantic. In lieu of flowers, contributions in memory of Laura may be made to Windham Hospital Foundation at Windham Hospital, c/o Executive Director Shawn Maynard, 112 Mansfield Ave., Willimantic, CT 06226.